The mission of RGS is to give customers the best industry solution. After several years of development, RGS has built a good reputation for delivering high-quality products and services. We have achieved high levels of customer satisfaction and unparalleled expertise in the manufacture of sealing products. RGS has an excellent team who is experienced with the market and has strong technical capability. RGS has maintained a professional production process through years in research and experience. There are a variety of materials to choose from with the latest technology. In accordance with ASME B16.20, MSS SP-44, API605, DIN, BS1560, JG/TGB/T, JIS, HG, SH,etc. 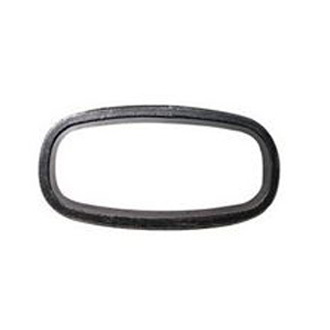 Commercial standard production ensures tolerance requirement gasket compression leakage rate of recovery. Ensure 304(L), 316(L), etc. Metal materials, graphite, non-asbestos, etc fillers' content. Strict control of the materials. Advanced production equipment and inventories ensure provide the fastest delivery. Large-scale production, excellent technology and efficiency all guarantee the best prices. Lone-term sealing industry production and sales experience, RGS will provide free mature results sharing. RGS is always improving the quality and production of our products.